Staying in the home can be extremely beneficial to seniors with dementia. The familiarity and comfort of surroundings, as well as the interaction with loved ones and beloved pets, can help to mitigate difficult dementia behaviors and sometimes slow the progression of the disease. However, staying in the home also presents certain safety issues that are not present in other settings such as nursing homes. Dementia causes both physical and mental changes in seniors. These changes may make certain actions and tasks more difficult and dangerous for seniors. Dementia may cause seniors to become disoriented and fall or to have trouble moving around. Dementia may also impair judgment and sensory functions. This can make it difficult for seniors to sense temperature changes, hear, or see potential hazards. Dementia may also cause changes in behavior and awareness, so seniors may have trouble recognizing familiar places or understanding dates and times. It is important that a caregiver assess the home in order to prevent injuries to seniors and others. When assessing the home, caregivers should try to look through the eyes of someone who is afflicted with dementia to spot potential hazards. Caregivers should also be mindful that extreme changes are not made that may upset seniors. It may take outside input and careful consideration to decide what changes to make within the home that will increase safety without upsetting seniors. Having a professional home caregiver assist with the needs of seniors with dementia can improve safety issues substantially. 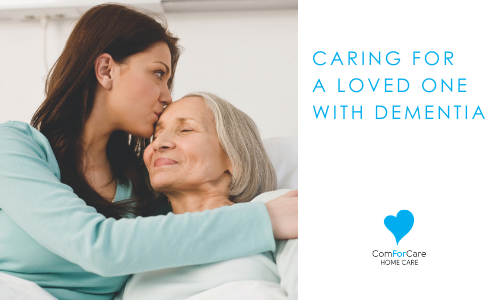 If dementia is in advanced stages, home caregivers can provide 24 hour supervision that can increase safety while also providing comforting support. Home caregivers can also make sure that seniors are eating, drinking, and taking medications as prescribed.